Creation of a common TPA is not looking at the future. The right thing for the PSU’s will be to set up a JV company (ownership being shared by 4PSU companies, may be 25 % each) and then have in house claim settlement department. 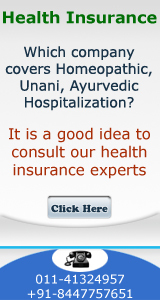 If Bajaj Allianz, Star and others are having success in house claim settlement department then this company (let us say for discussion sake GIPSA Health Insurance Company Ltd) can also have in house claim settlement department, strong Business Development Department to negotiate with Health Care Providers, Medical Devices Manufacturers, even Pharma suppliers so that they can have economies of procurement, use of technology to best possible extent. With the first year target of Rs 10,000 crores this company will be strong enough to negotiate and emerge the trend setter for growth of health insurance industry in our country. What NTPC did for power generation and BHEL did for Power Generation Equipment can be expected from this strong health insurance company. We feel JV TPA with any one who is selected will not work as TPA Company (26%) will be the driving force or 4 companies who will jointly own74% .This option is not going to work. The only successful model will be a stand alone GIPSA Health insurance Company. 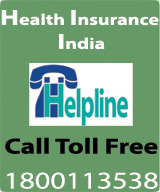 This strong company manned by those who specialize in health insurance, who are dedicated to make career in health insurance, who have passion for health insurance will be the solution. In 5 yrs this company can reach level of Rs 25,000 crores, may be Rs 40,000 crores.